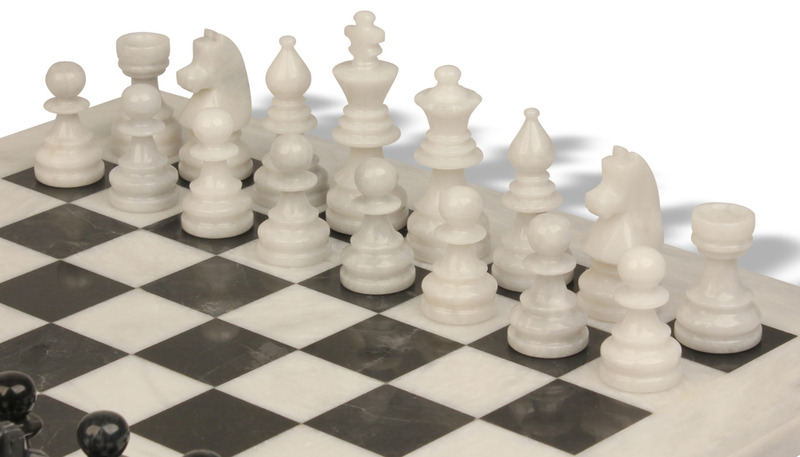 This product from Chess Baron: Like your world in black and white? 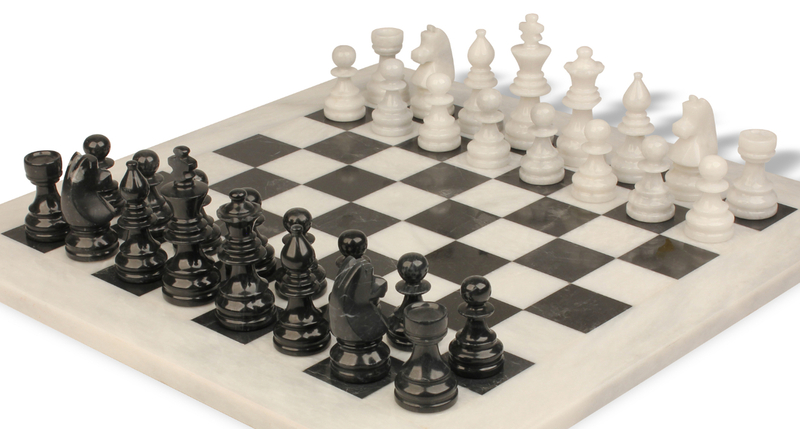 Made in Grade One marble, great definition, contemporary shade and colouring - this black and white marble chess set is the new kid on the block - a marble block. 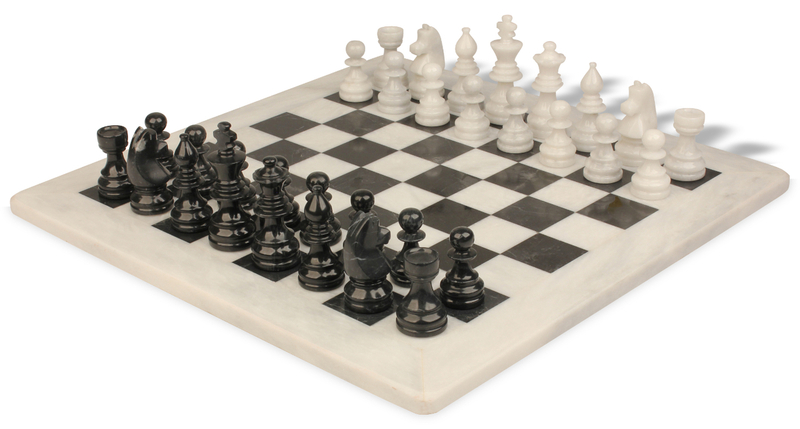 The board is heavy solid marble, measuring 16 inches. 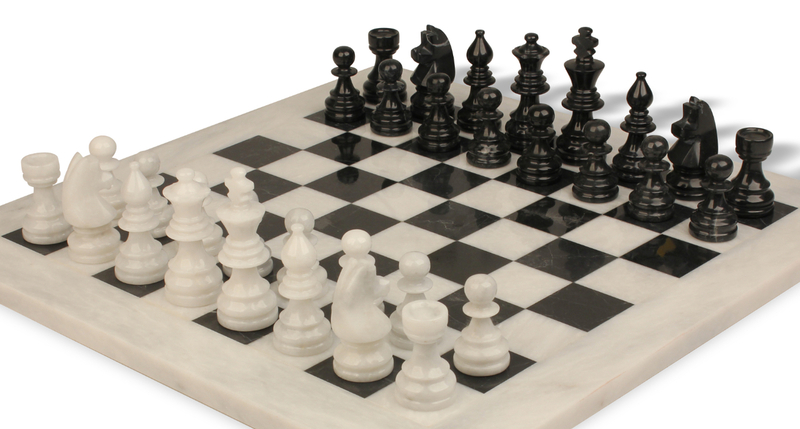 It's yes or no, on or off, Black or White. The king measures 3.5". The board measures 16" all together. 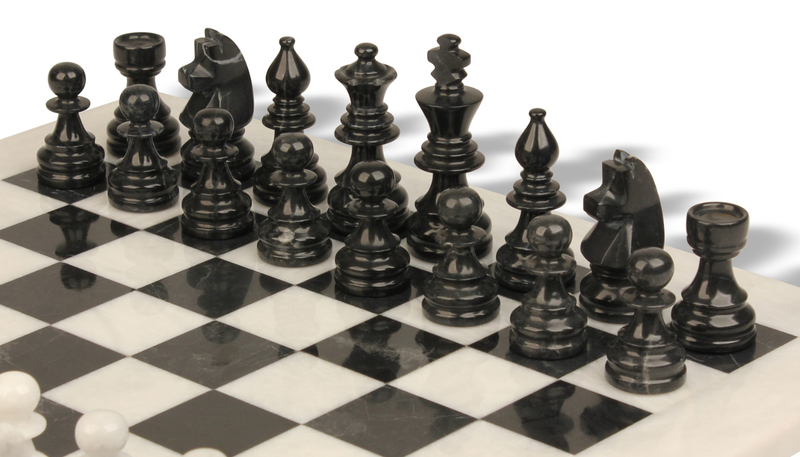 The whole thing comes in a case - nothing further is needed - just the players, dressed in black and white. No colours allowed. Total Package Weight 10kg. King 3.5inches tall. 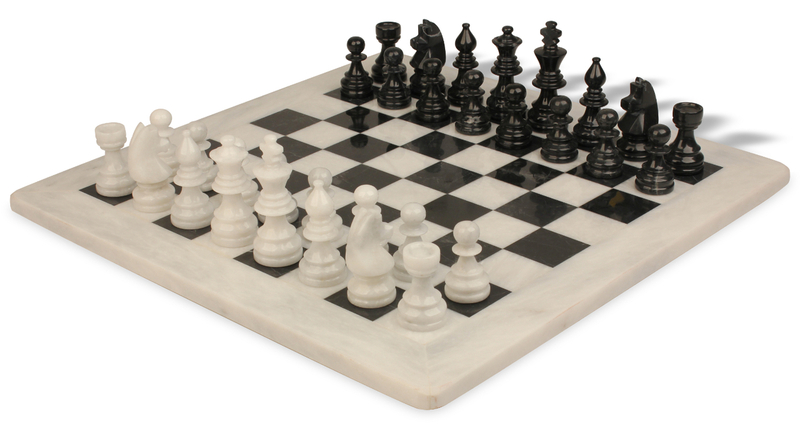 Board 16 inch square. Case and Board included.